Funeral services for Mr. Roger " Hawk" Hawkins, age 58, will be conducted on Saturday, November 17, 2018 at 12 noon at Pratt Funeral Home Chapel. Burial will follow in Hannah A. M. E. Church cemetery. Mr. Hawkins passed away on Wednesday, November 7, 2018 at his home. 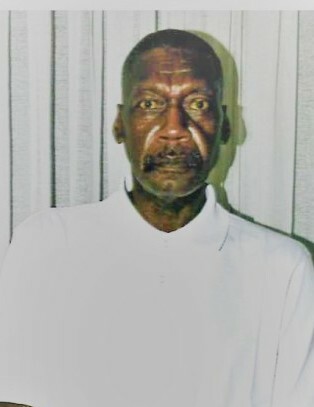 Born in Newberry County, he was the son of the late Willie P. Wise and the late Louvenia Hawkins. Roger moved to Maryland at a young age. He enjoyed laughing, talking and being around family and friends. Surviving are sisters, Betty H. Lewis of Baltimore, MD; Lorrine Williams (Leige) of Oxon Hill, MD; Mary Frances Boyd, Annie M. Davenport and Matilda Lindler (Olive) all of Prosperity, SC; brother, Robert Hawkins (Georgia Faye) of Saluda, SC; two aunts, Nannie Lee Wise of Prosperity, SC and Lilly Rosa Hawkins of Columbia, SC; one uncle, Jasper Bates, Sr. of Little Mountain, SC; a host of nieces, nephews, great-nieces, great nephews, great-great-nephews, devoted friends, Jasper Bates, Jr., Virgil Wise, Tony Pitts and Wayne Milburn. other relatives and friends.